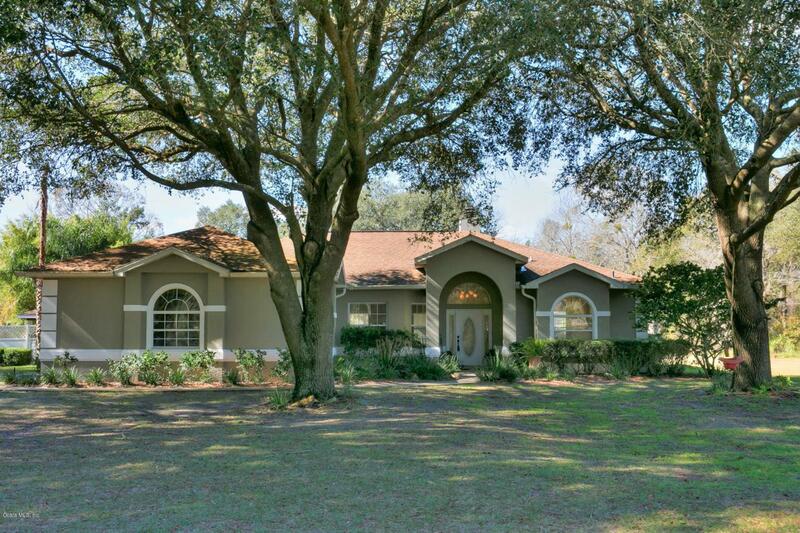 This gorgeous farm is located in the lovely equestrian community of Ocala Downs, surrounded by other beautifully maintained horse farms. 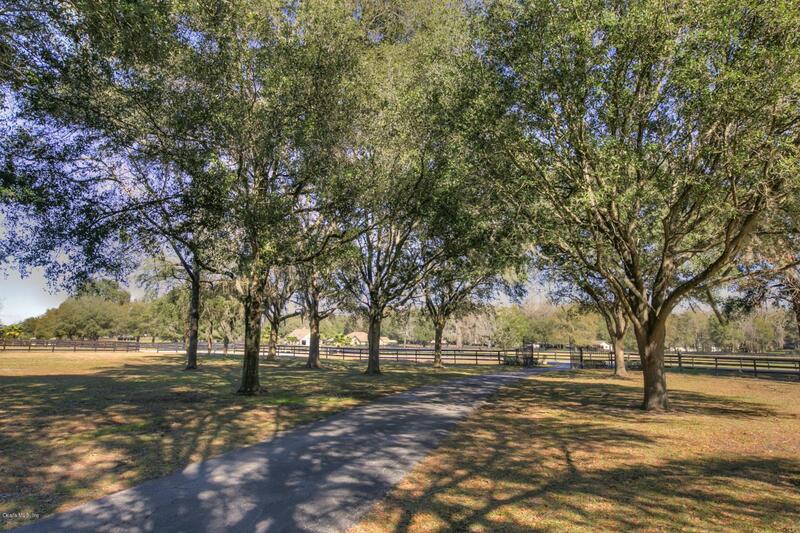 This quiet community features bridle trails throughout, and provides the opportunity to ride peacefully and safely both on and off your farm. 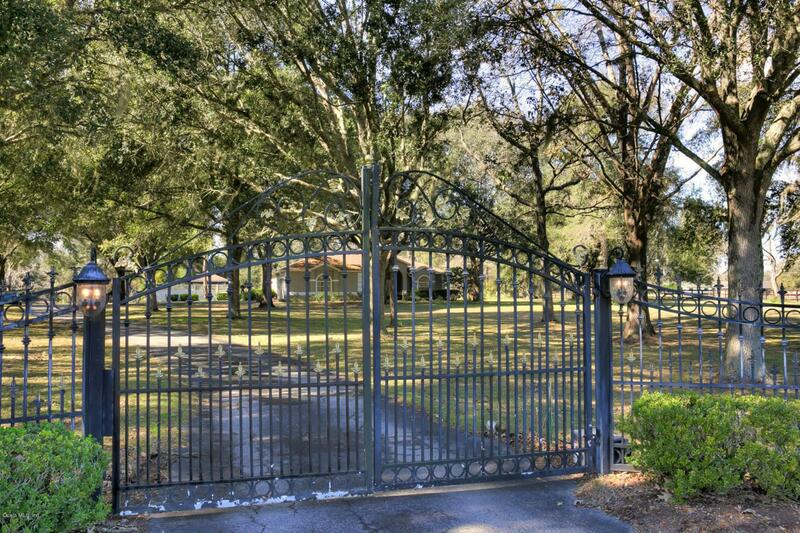 It also gives quick access to main roads, as well both Ocala and Gainesville, and the quaint and historic towns of McIntosh and Micanopy. 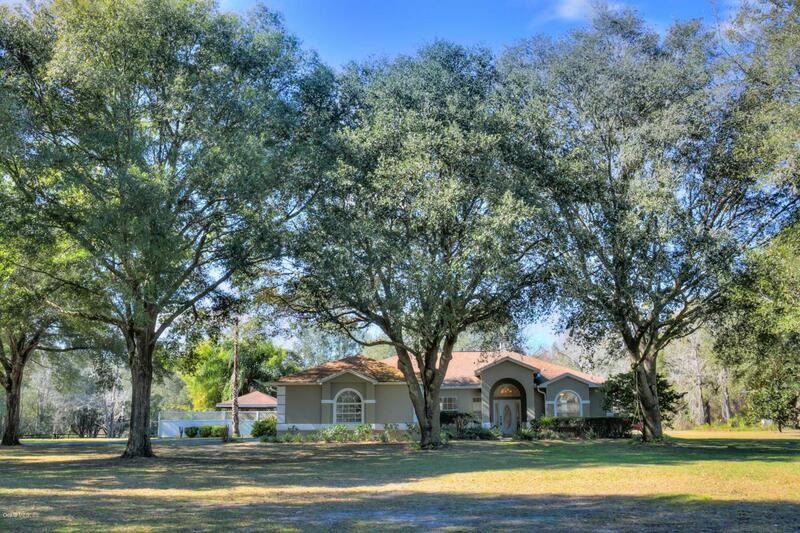 It's a short drive to equestrian venues, parks, and riding trails. This farm features a beautiful home with cathedral ceiling, beautiful eat in kitchen, covered patio, en suite master, and fireplace. In addition, there is an adorable attached 2005 1BR/1BA guest house with an open airy floor plan and simply perfect for in-law quarters or guests. The barn includes 2 stalls,1/1 apartment, bath and wash racks. This farm currently houses one large pasture; there are endless options for additional turnout.